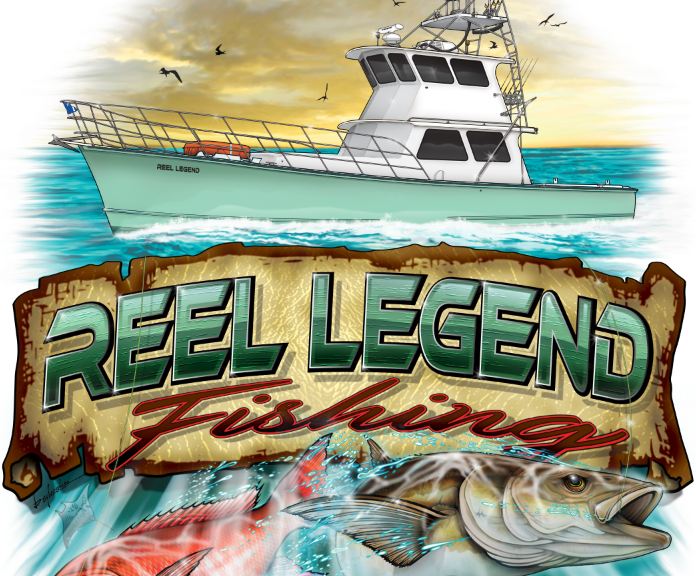 I got the call from Zach that he was looking for a new website for his charter fishing business Reel Legend Sportfishing. Without a beautiful logo, it is very difficult to build a website using our unique style with high conversion rates. I told Zach, let’s start with the logo and come back to the website when we nail down the new image of his business. To my liking and gratitude, Zach had an amazing vision for his logo. 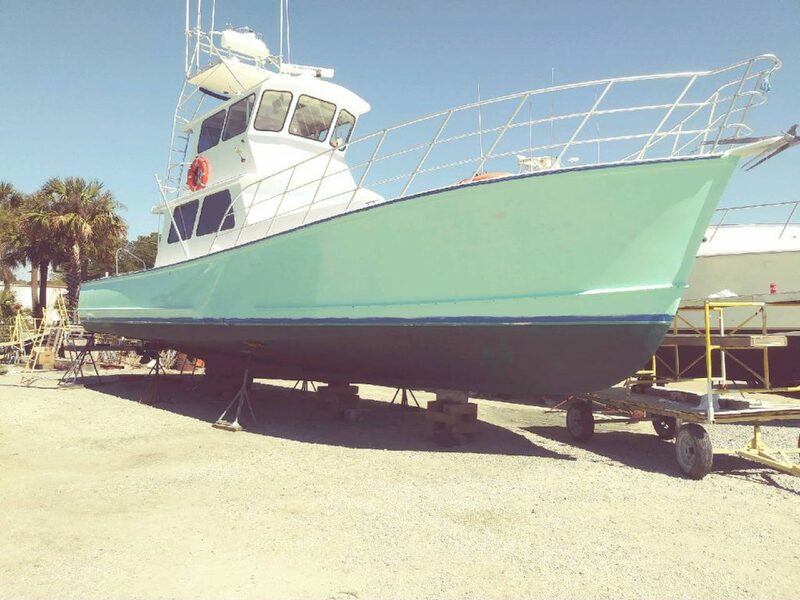 He has a beautiful boat that we both knew had to be captured and told in this story of branding. 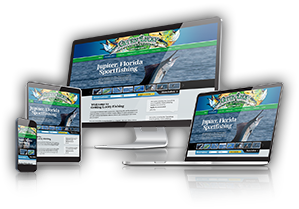 Along with the boat, a Destin Fishing Charter is known for Red Snapper and Cobia. And boy was our team thrilled for this one! Brian, who does all our illustrations was extremely excited when I came to him with these species. 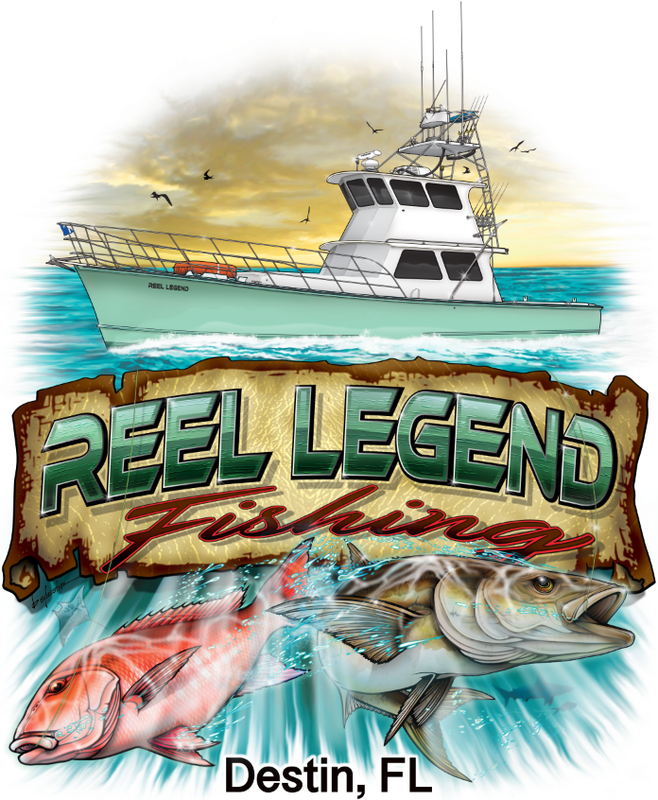 Our last several logos have been Mahi, sailfish, marlin, tuna, etc. So it was nice to switch it up and we have not done a cobia in a while, so it was exciting for all of us. So off we went, team meeting and brain storming sessions. We all agreed on a unique concept that surely was going to be a master piece. And that’s a wrap! We have the most talented crew here at SFC Design Group. Since we all work very closely together it allows us to vision the end product which is the EMAIL and PHONE CALL handing over credit card numbers to book a charter. Without lead generation, all this pretty stuff is no more than a business card collecting dust. And now that we have a logo and brand that will be recognized everywhere, we can move on to print material such as t-shirts, business cards, rack cards… And of course the “online asset” that most call “websites”. I want to thank Captain Zach very choosing SFC and we look forward to a long and prosperous relationship.